I meant to do a post about Graphic.ly a while ago when I joined the beta testing program. 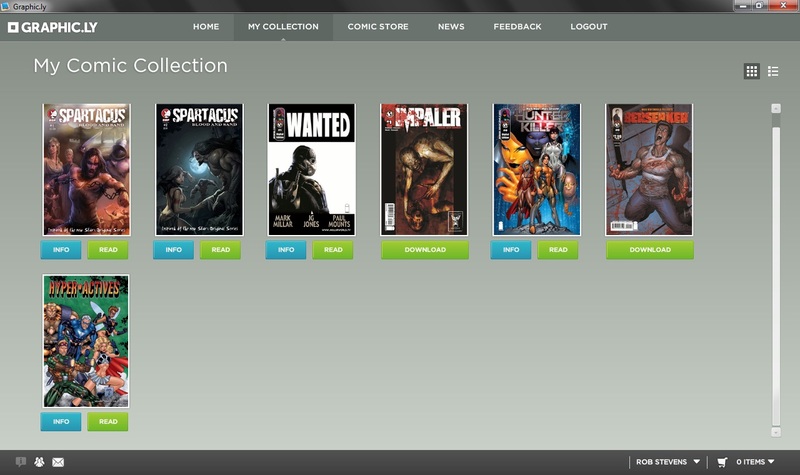 Graphic.ly is an app for buying and reading comics. There are two versions of it - What they describe as a desktop installation for Windows which is currently still only available to beta testers, and the recently released Adobe Air based version, currently in a public alpha testing phase. There is also an iphone/WinMob 7/Android version in the works which I'm looking forward to testing if possible. 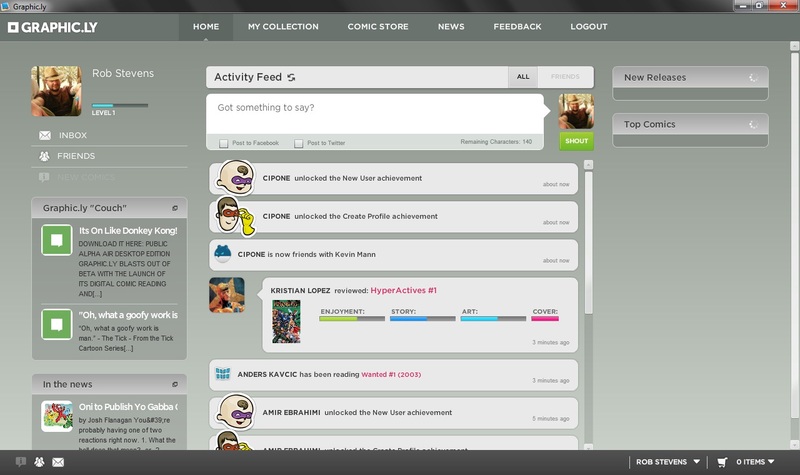 The app includes the currently ubiquitous "shout out" feature with facebook/twitter linking. There's a steadily growing range of thoroughly decent comics, with plenty of free ones to whet the appetite. Once you've ploughed through those, the comics start at a very reasonable $0.99 (or about 70p in real money) and can be paid for using either PayPal or the usual range of cards. Once downloaded the comics save themselves to a folder in your Documents folder and take up somewhere in the region of 60 to 100 megabytes each. The Air version of the app that I've just been playing with is a great improvement over the beta. The panel transitions are nice and smooth, and the comics are quite speedy to download. There are a couple of bugs here and there, but this is to be expected really in a test edition. Bug reports and support are handled via GetSatifaction.com. With some bug-fixing, UI tweaking, and a larger product catalogue this app could be great. There are a few features I'd like to see added - the ability to manage you comic collection (as in, delete stuff) from within the program would be good. 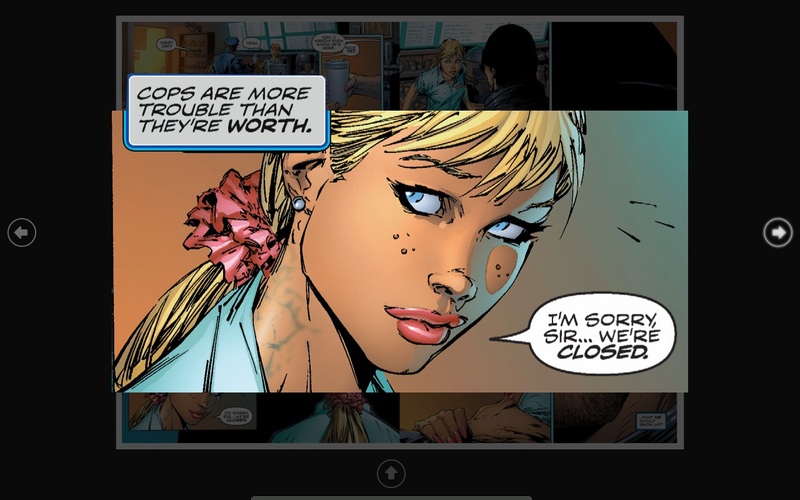 The other thing I'd like to see is the ability to import other comic file types, such as .cbr archives. I know they wouldn't display in the same manner, but having your whole catalogue together would be useful. One to keep an eye on, and a must see for comic lovers.